Send your entry via email to Tzivia@writekidsbooks.org. I will acknowledge every entry received, so if you don’t get anything back from me, send it again. Entry is free and open to writers worldwide. Front cover image in JPG format, at least 500 pixels wide. Back cover image in JPG format, at least 500 pixels wide. (print books only). The name of your book (and book series, if applicable). The name of the cover designer and/or company who did the cover design. Publication date between December 1, 2014 and November 30, 2015 (as it appears on the book’s Amazon page). Amazon link where the book is currently available. Self-published by you between December 1, 2014 and November 30, 2015. Currently available for sale with that cover via Amazon.com as of when I write the post in December (if you switch covers, your entry will no longer be eligible). You may only enter once for each book, but go ahead and submit multiple entries if you publish more than one book during the one-year eligibility period. Please do NOT send your entire book. This contest is all about covers. If you’re not sure whether your book is eligible, just shoot me an email to ask! I can’t wait to see what you can come up with this year! Ooh! Darn, Harry's Hair just missed the accepted date! Yes! Now THAT is "writing career," not "single-book" thinking. Can't wait to see them. This is an e-book, may I submit the cover? Absolutely! 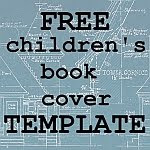 For ebooks, you only need to submit the front cover (since most don't have a back).